Spork Original Two-Pack - BPA-Free Eastman Tritan Construction, Durable And Heat-Resistant, Dishwasher Safe | BUDK.com - Knives & Swords At The Lowest Prices! 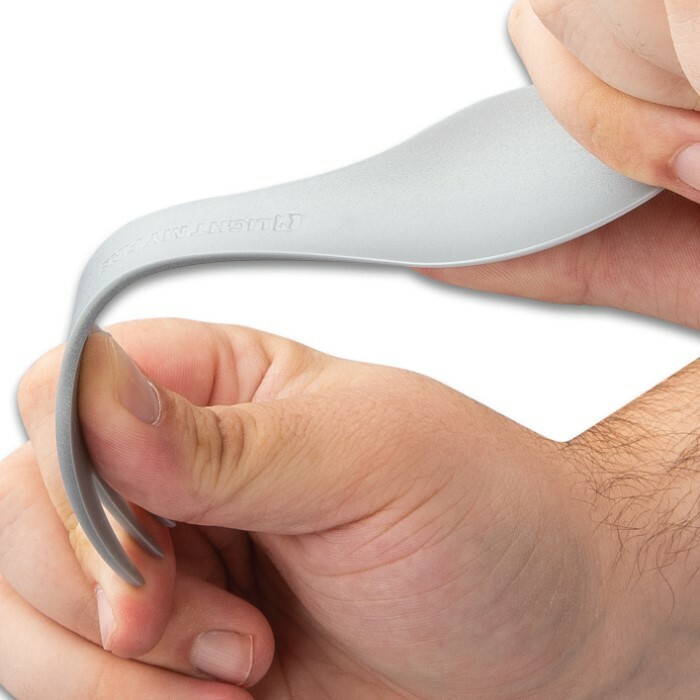 Our spoon-fork-knife combo brings a bit of civilization to the wild and a bit of the wild to civilization. 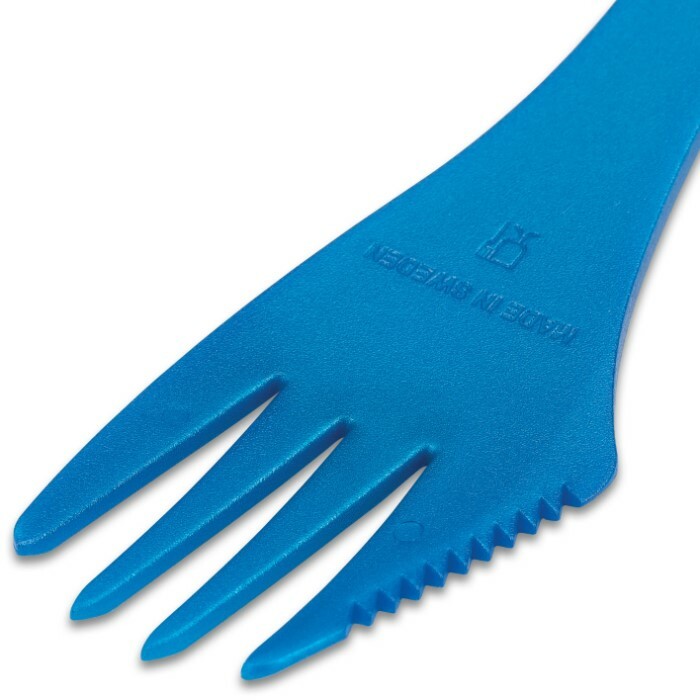 The Spork Original is perfect for your backpack, boat, picnic basket, lunchbox, purse or briefcase. 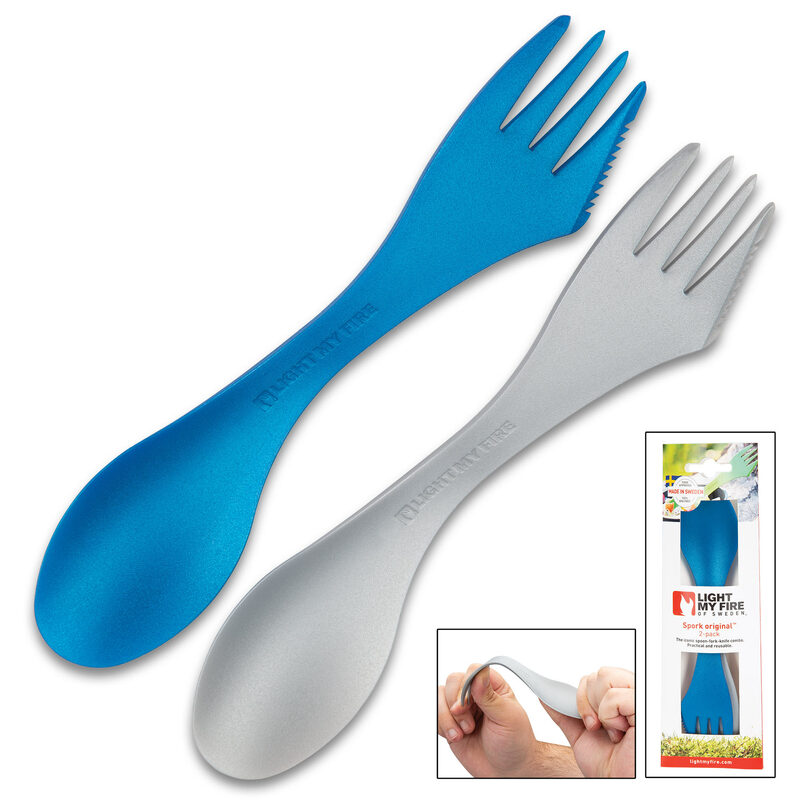 Made in BPA-free Eastman Tritan, it’s durable and heat-resistant. 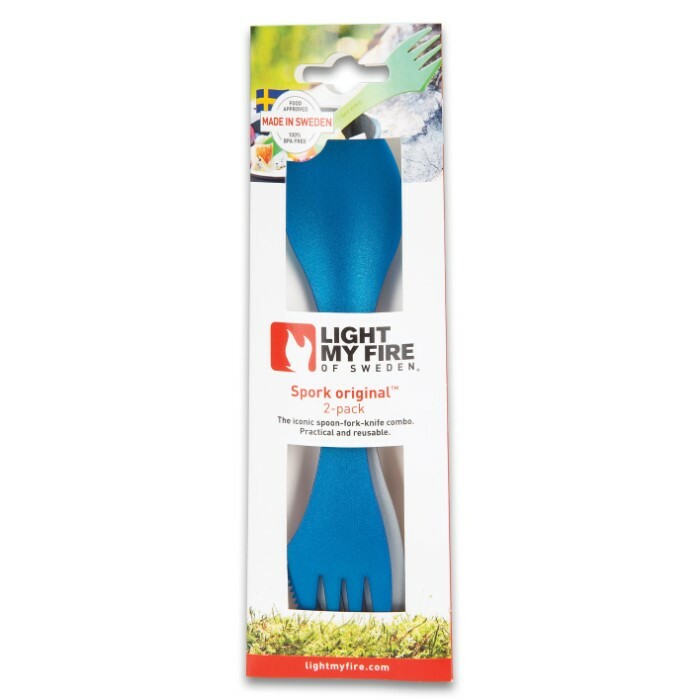 The lightweight (0.3 oz) dining tool is safe for non-stick cookware and is also dishwasher safe. There are two of them in this package. Colors may vary.